Robot Mode: Jhiaxus uses the mold originally created for Beast Machines Deluxe Jetstorm, which was then recycled numerous times, such as for RID Stormjet and Universe Skywarp. As such there isn’t a whole lot more I can write about this figure that I haven’t already written elsewhere. The robot mode is pretty neat, though with a definite anime-touch. Articulation is excellent thanks to ball joints and the paint job, mostly grey and orange, looks pretty good as well. Suffice to say that while Jhiaxus holds no resemblance to the character whose name he carries (see below) and really has no need for the hover mode, where he fuses his legs together in order to float on jet engines, I do like this robot quite a bit. It looks non-standard, it has wings, and it’s just all-around neat. Vehicle Mode: Naturally Jhiaxus transforms into the same kind of futuristic jet that Jetstorm does, so once again, not all that much I can write here. The jet looks cool in general and with its new paint job as well. The spark crystal gimmick has been removed, there is just a red ball in the place where Jetstorm had his Vehicon crystal. The jet retains the articulate neck and the ability to assume something of a gerwalk mode by simply flipping down the legs and leaving the rest of the jet intact. So all in all, still a cool jet mode. No complaints. Remarks: Jhiaxus was the main bad guy in the short-lived G2 comic book series (cancelled after 12 issues). Comic writer Simon Furman actually made up his name as a joke, pronouncing it “Gee, axe us!”, seeing as Marvel apparently had wildly overblown expectations in regards to sale numbers and Furman predicted the series would be cancelled soon. He was right about that. Jhiaxus was the military leader of the Cybertronian Empire, who tried to destroy both Autobots and Decepticons. In the end Jhiaxus was destroyed by the Swarm, but it was revealed that he was but a pawn of the true leader of the Cybertronian Empire, Liege Maximo. Then the series ended and Jhiaxus was never seen again in Transformers. This RID Target Store Exclusive is the only toy ever made of Jhiaxus, though it doesn’t really resemble the character much except in color. So this is basically just a case of name recycling with no deeper meaning to it. 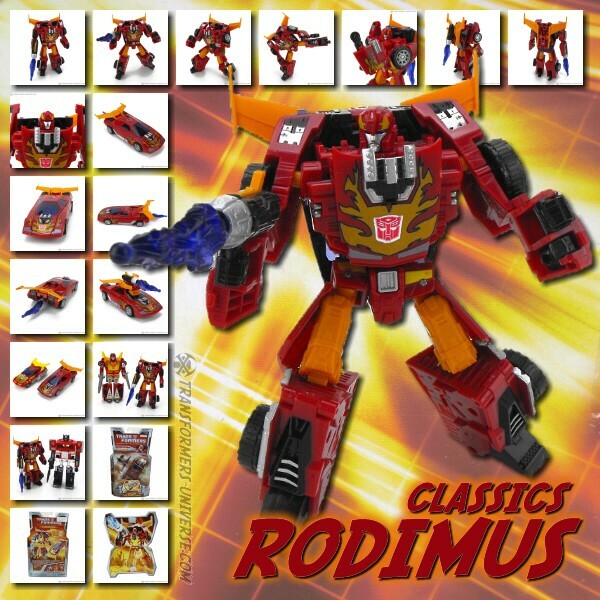 The end of the Robots in Disguise toyline was padded out quite a bit to run in parallel with the Armada toyline (hence the near-identical packaging) and brought out numerous store exclusive repaints of older toys, such as Jhiaxus. As for me, well, I like the mold, I liked the character in the G2 comics, and I got this toy relatively cheap. That’s all there is to it. Definitely not a must-have, but if you don’t own any version of this good mold yet, Jhiaxus is as good a choice as any of the others.